1 Will It Go Around In Circles? 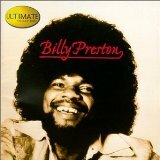 William Everett "Billy" Preston (September 2, 1946 – June 6, 2006) was an American musician whose work included R&B, rock, soul, funk and gospel. 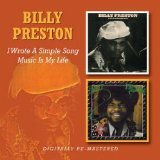 A virtuoso keyboardist, particularly on Hammond organ, Preston was recognized as a top session musician in the 1960s, during which he backed artists such as Little Richard, Sam Cooke, Ray Charles and the Beatles. He then went on to achieve fame as a solo artist, with hit pop singles including "That's the Way God Planned It", "Outa-Space", "Will It Go Round in Circles", "Space Race", and "Nothing from Nothing". In addition, Preston co-wrote "You Are So Beautiful", which became a number 5 hit for Joe Cocker. Preston continued to record and perform with other artists, notably George Harrison after the Beatles' break-up, and Eric Clapton, and he played keyboards for the Rolling Stones on many of the group's albums and tours during the 1970s.